Addenda 1 Purchase and Installation of Two (2) Digital Radiography X-Ray Equipment for the County of El Paso Sheriff's Department Blanca 04/04/2019 at 2:00 p.m. Deadline for questions has passed. Process Server Services for the County Attorney's Office Araceli 3/14/2018 at 2:00 p.m. 19-018 Responses under evaluation. Addenda 1 Supervised Visits and Exchange Services for Families of Domestic Violence Araceli 02/21/2019 at 2:00 p.m. 19-017 Responses under evaluation. Up to 20,000 Tons of Paving Rock Grade F and Up to 12,000 Tons of Paving Rock Grade C for the County of El Paso Oscar 02/07/2019 at 2:00 p.m. 19-015 Responses under evaluation. 19-014 As-Needed Paving Emulsion Material for the County of El Paso Blanca 02/07/2019 at 2:00 p.m. 19-014 Responses under evaluation. As-Needed Base Course Material for the County of El Paso Blanca 02/07/2019 at 2:00 p.m. 19-013 Responses under evaluation. Bid will be closed out, ending the procurement process. Updated specifications for the construction of the Employee Fitness Center will be issued at a later date. Secure and/or Staff-Secure Residential Treatment Services for Post-Adjudicated Youth Oscar 01/24/2019 at 2:00 p.m. Under evaluation. 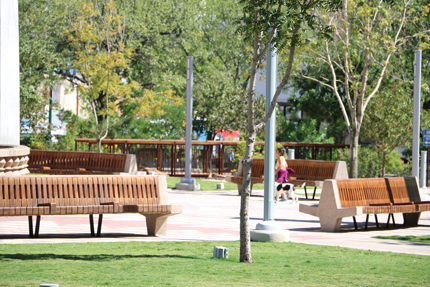 Addenda 4 Completion of a Historic Structures Report and Cultural Landscape Report on behalf of Onate Crossing at Old Fort Bliss and Harts Mill Araceli 02/14/2019 at 2:00 p.m.. 19-010 Responses under evaluation. Purchase of Eight (8) Midsize Sedans, Three (3) Full Size 4x4 1/2 Ton Pickup Truck Crew Cab (4 Full Door) Short Bed, Two (2) full Size 4x2 1/2 Ton Pickup Truck Crew Cab (4full Door) Short Bed, and Three (3) Midsize Cargo Vans Blanca 12/20/2018 at 12:00 p.m. 19-009 On Monday, February 11, 2019 Commissioners Court approved the award to Randall reed's Prestige Ford and Rudolph Chevrolet LLC. Purchase of One (1) Box Truck, One (1) Flatbed Truck 4x4 w/ Four Full Doors, One (1) Deck Mower, One (1) 10K Forklift Liquefied Petroleum Gas (LPG), One (1) 6K Forklift Gasoline/Liquefied Petroleum Gas (Duel Fuel), and One (1) Utility Trailer Blanca 12/13/2018 at 12:00 p.m. 19-008 On Monday, February 11, 2019 Commissioners Court approved the award to Deere & Company/South Plains Implement, LTD; Endless Sales Inc. DBA Octane Forklifts; FMH Materials Handling Solutions, Inc. and Randall Reed's Prestige Ford. 19-007 Supervised Visits and Exchange Services for Families of Domestic Violence Araceli 12/13/2018 at 2:00 p.m. On Monday, December 10, 2018 Commissioners Court approved and authorized to end the procurement process . Vista Del Este Water Distribution System Blanca 11/15/2018 at 2:00 p.m. On Monday, January 7, 2019 Commissioner's Court approved and authorized to end the procurement process and re-solicit..
As-Needed Forensic Psychologist/Psychiatrist for the County of El Paso Oscar 12/06/2018 at 2:00 p.m. Responses under evaluation. 19-004 On-Call Traffic Signal Electrical Services for Public Works Department Blanca 10/18/2018 at 2:00 p.m. 19-004 On Monday, January 28, 2019 Commissioners Court approved the award to Tri-State Electric, Ltd.
Congregate and Home Delivered Meals for the City-County Nutrition Program Oscar 11/15/2018 at 2:00 p.m. On Monday, February 25, 2019 Commissioners Court approved award of the RFP to Selrico Services, Inc. of San Antonio, TX. 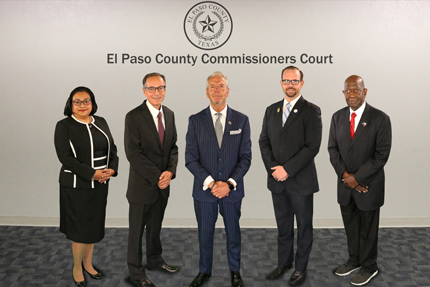 19-001 Indigent Burial Services for the County of El Paso Oscar 10/18/2018 at 2:00 p.m. On Monday, November 19, 2018 Commissioner's Court approved and authorized to end the procurement process and re-solicit..